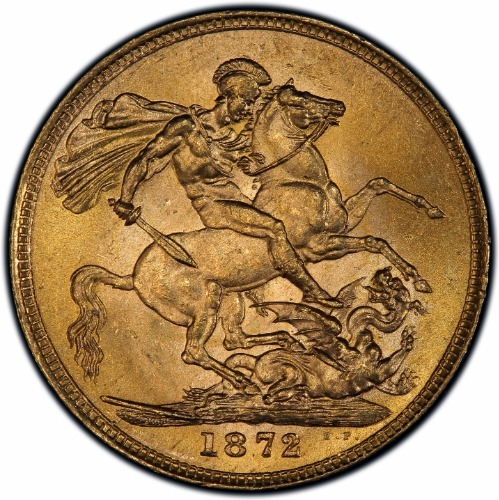 Victoria gold "St. George" Sovereign 1872 MS64 NGC, KM752, S-3856A. Choice Brilliant Uncirculated with original lustre and a sharp strike. Scarce this nice as most sovereigns show a lot of bagmarks.